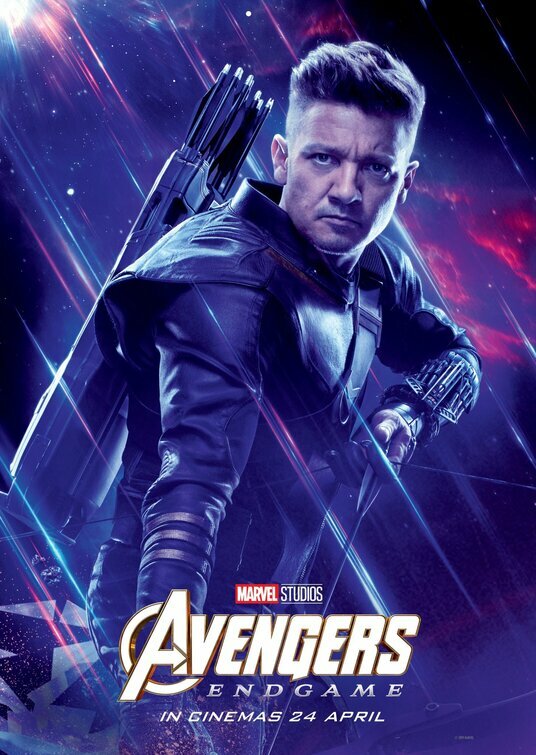 Jeremy Renner as Clint Barton in a poster for Avengers: Endgame. 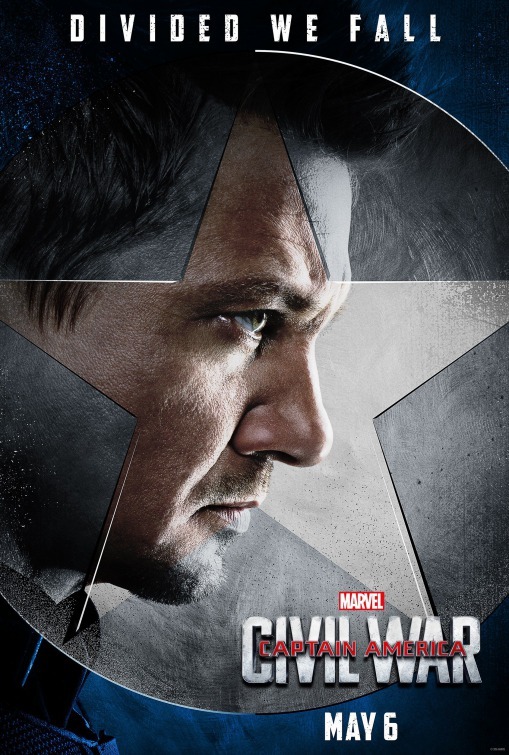 Renner told MTV that he’s “happy to be the ensemble. 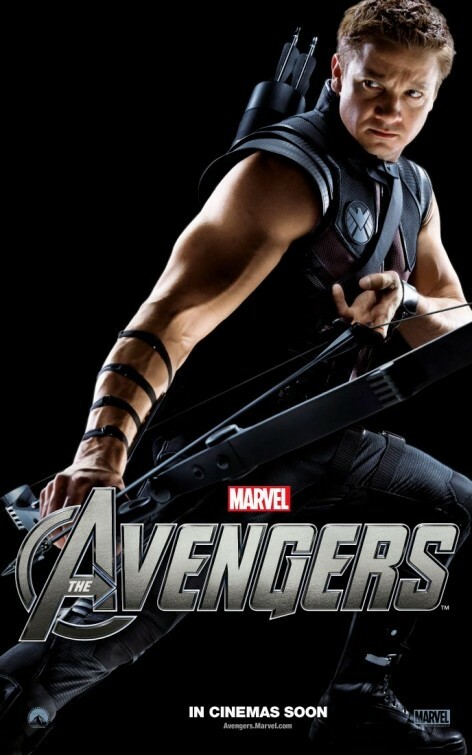 I’m not scratching or clawing to do a solo movie by any means ... 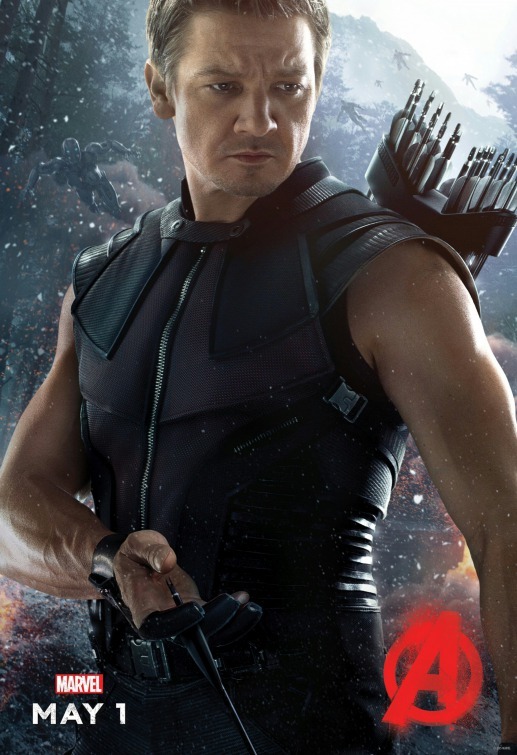 I think (Clint’s) a utility guy that can bounce around into other people’s universes a little bit”.